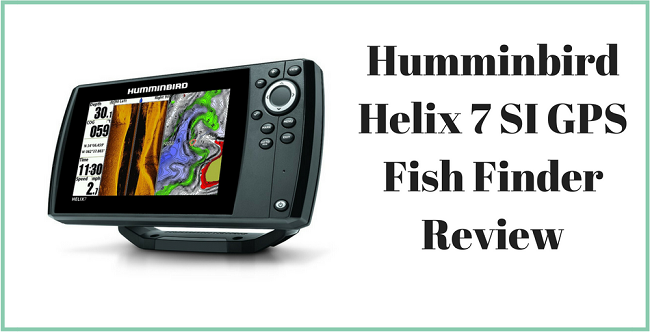 If you’re the type of person that likes to spend a ton of time out on the water fishing, then this is going to be one of the most helpful Humminbird Helix 7 SI GPS reviews that you’re going to find. When it comes to fishing, you may find it frustrating to come home empty handed after a long time on the water, but when you have a fish finder, then you might have better luck catching something on the water. Additionally, if you happen to fish in an area that you’re not familiar with, it can be easy to get turned around and not know where you are going. If you want to solve both of those issues at once, then you’re going to want something like this unit here. Not only does this unit work to give you some of the best GPS ﻿﻿output, so you know exactly where you are going. But it will also help you find fish, tell the water depth and give you a bright, crisp and clear display so that you can have the best experience possible out on the water. If you’re boating, then I’d say the odds are good that you’re going to be boating and fishing in the bright sunlight which means that it can be tough to see some of the digital displays that you have on your boat. With this particular unit, you’re going to get an ultra bright display that will make it easy for you to see it even in the brightest conditions. With the no glare, view from any angle screen, you’ll see exactly what you want to see and every time. While maybe you don’t need to have the greatest picture on the screen, it’s going to be really nice when you want to get a clear picture of what you’re looking at. With a 480x800 display resolution, you can always count on getting the best possible display image. When it comes down to it, the most important thing that you can find is going to come in the screen display. While there are a lot of different options, it should come as no surprise that the one you’re going to want to buy is the widescreen display because it will show more. With this unit here, you’re going to get a 9:16 display that lets you see the most out of any of the other screens you’re going to find. While you may do a lot of fishing on some smaller lakes or rivers, there’s always going to be a chance that you’re going to find yourself fishing on an ocean or an incredibly deep lake. If that ever happens to you, then you’re going to be in excellent shape if your boat is equipped with this unit. It is capable of working at a depth of up to 600 feet so that you can use this finder and GPS no matter where you are. This might not be a feature that you think you would ever use, but it’s nice to have in case you do decide to need it. If you continue to go out of the same body of water over and over again, this might not be very important to you. However, if you like to explore different lakes and rivers and see what they have to offer, then the precision GPS is going to be your new best friend. It can tell you exactly where you are at one the lake and it can work to get you where you need to go. You may not think you need it, but you’re going to love to have it if you find yourself lost. When it comes to products that you’re going to use on a boat or somewhere on the water, it’s going to be incredibly important because you don’t want to be without battery power when you are out and about. With this particular unit, you’re going to find that it uses a 12V battery that should last you for the majority of the day when you are out. If you happen to be worried about the battery life anyway, it can be used with a standard AC power cord to get the most out of it when you use it. Does this have the option to switch to metric units if necessary? Yes, this unit can be used in both United States measurements or metric units for other countries. I understand that it gives a lot of features, but does it tell me the water temperature and the speed of the boat? Yes it does! This unit offers so many different features that chances are good if you want it, it’s going to be covered. Is the transducer included with the purchase of this unit or do I have to buy it on my own? The transducer is included with the product, so you will not need to buy your own! Is this particular unit able to be mounted on my boat? More specifically, can it be mounted on the bow of the boat? This unit is very versatile and can be mounted just about anywhere. IF you are to mount it to the bow, it’s recommended you use a 2x4 first. If the unit is mounted on my boat, will it be easy for me to remove it and bring it with me somewhere else? Yes! While the mount is going to stay on your boat, you can easily move the unit itself to wherever you need it to be. If I want to mount this unit, are all of the necessary tools and equipment included? Unfortunately, they are not included. You will need to buy a mounting kit. When it comes to products such as this one, you’re going to find that it is unique and might be a little unique when it comes to using it as well, especially if you want to use it the right way. As it stands now, it’s pretty easy to get a great fish finder, and it’s pretty easy to get a GPS for your boat. However, one of the harder things to do is find a product that combines both. In order to get the most out of the product, you should make sure that you know how to use it properly and are taking advantage of both the GPS and the fish finder feature to help maximize your experience while using the Helix 7 SI GPS. 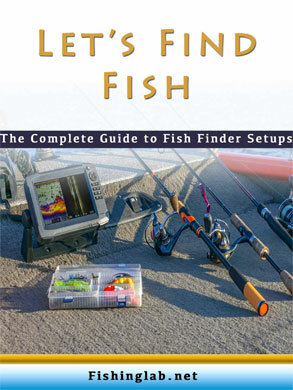 Here are a ton of different thoughts and considerations that need to be remembered when it comes to buying a fish finder and GPS, especially when you are buying in all in one system that will do both of the jobs for you. While you might not know what you’re looking for, I can tell you with confidence that is one of the best fish finder and GPS that you can find for use on your boat. 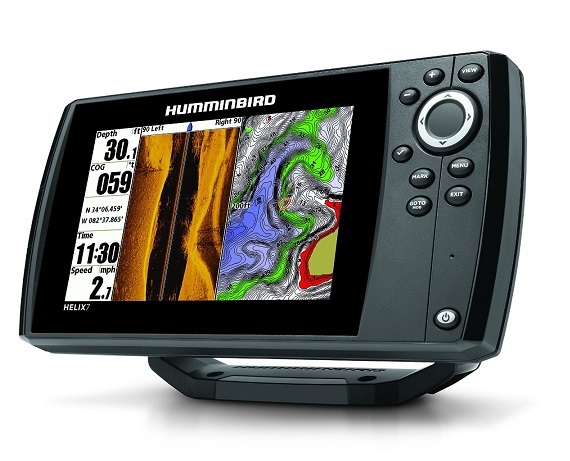 Whether you’re going to enjoy the features such as the widescreen display, the crystal clear images, the battery life or the 600 foot depth reaching ability, this Humminbird Helix 7 SI GPS is going to be a no brainer. If you’re in the market and wanting to buy one, look no further than this unit right here.